Here’s the rest of the machine sketches this week. Top left we have the ‘Android’ – pretty self explanatory. Middle left we have the ‘Golem’ which looks kinda like a gorilla. Then we have the spell cards. Top middle is ‘Junkyard’ – a bunch of outdated machine parts. Top right is the ‘Quake Attack’: some machine destroying the earth and middle middle is ‘Kamikaze’ which is an android exploding. 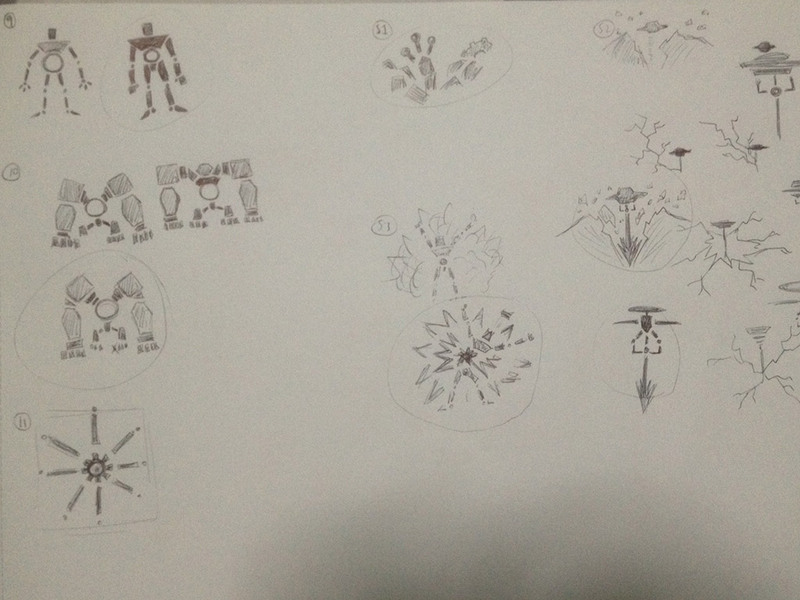 Bottom left is the ‘Arm of Command’ which is a bit of a hybrid creature/spell so it’s more abstract. I would like to do more testing but it’s hard to find people who are free. What’s next: more art from another race this time and again hopefully I can find someone to help me test.